House with Andalusian style, swimming pool and private gardens, in the heart of Andalusia, in the center of the Almijara mountain range. Between the villages of Torrox and Cómpeta and a few kilometers from Frigiliana, Nerja, Sayalonga. It is ideal for those seeking tranquility on the Costa del Sol, with all the amenities, you can visit Andalusia, Malaga, Granada, Cordoba or Cádiz. What can you find in the house? Pool and private garden with fruit trees and vineyards. Terrace at the top of the house ideal for sunbathing at any time of the day. The house has high speed wifi anywhere in the house for FREE. One of the rooms has a large bed with a new mattress from January 2018 and a built-in wardrobe, another room with 2 double beds, with new viscoelastic mattresses from June 2017. Equipped kitchen, microwave, oven, breakfast bar. Rest and relaxation in the middle of nature, with all the comforts in a quiet, unique and beautiful landscape with views of the Andalusian countryside, the coast of Malaga and the Mediterranean Sea, its immensity and clean beaches. Villa del Carmen is located in an idyllic place of the Axarquía, its rural environment will allow you to spend a few days of relaxation with panoramic views from its terrace and surroundings. The sea, nature, Torrox can be reached in 10 minutes by car, a beautiful village of the Axarquia (Malaga) that has tourist monuments and exceptional beaches awarded with BLUE FLAG, distinctive quality internationally. You can get to Torrox by car, there you will find a supermarket, gas station, banks, pharmacies, 24-hour health center, wineries to visit. Cómpeta is a few minutes away and it is also an Andalusian town where you can enjoy its streets and the essence of yesterday. There are supermarkets, gas station, banks, restaurants, hairdresser, games room, church. The house is decorated with great taste, taking care of every detail, mixing the essence of Andalusian farmhouses, mixed with modern appliances of last generation (oven, microwave, etc). During the summer all the rooms have fans, in winter your fireplace promises that you will spend a pleasant stay. Spend a few days of tranquility on the Costa del Sol, enjoy the Mediterranean Sea. You can visit Andalusia with reference to the house, Malaga is 40 minutes from the house. Córdoba (Mosque, patios from Cordoba) 2 hours, Granada (Alhambra) 2 hours. Cádiz 3 hours. Live the experience of staying in Villa del Carmen, mix the Spanish culture by attending flamenco festivals, or diverse shows with Spanish essence. Our Villa and El Jadin are very well maintained, the pool is private, and only you can enjoy its pool and gardens. You will have everything you need to cook from the basic tools to the oven, microwave, blender and a large refrigerator. Exterior: From the kitchen you can watch your family enjoy the porch or the pool. The surroundings are completely closed. The property can not access any vehicle that is not authorized. Exterior: Enjoy plants and gardens, and a large green area where freedom is breathed in nature. It has a large terrace at the top of the house where you will see spectacular sunsets and breathtaking views. Next to the pool there is a laundry room where the washing machine is located. On the porch you will find a place to relax and enjoy days of rest. The whole house is exterior. You will be surprised by the tranquility and relaxation that is supposed to be in the heart of the Axarquía. A true vacation is enjoyed from rest. And in Villa del Carmen, rest is assured. Near Malaga, Cómpeta, Torrox, Frigiliana, Mälaga Airport, Granada, Córdoba, Cádiz, Gibraltar. Villa del Carmen is located in an idyllic location in the Axarquía, its rural surroundings will allow you to spend a few days relaxing with panoramic views from its terrace and surroundings. The sea, nature, Torrox can be reached in 10 minutes by car, a beautiful village in the Axarquía (Malaga) which has tourist and exceptional monuments awarded with Blue Flag beaches, quality mark internationally. Torrox can be reached by car, there is a supermarket, gas station, banks, pharmacies, health center 24 hours wineries to visit. Cómpeta is a few minutes is also an Andalusian inland town where you can enjoy its streets and the essence of yesterday. There supermarkets, gas station, banks, restaurants, hairdresser, games room, church. The house is tastefully decorated, attention to detail, blending the essence of Andalusian farmhouses, mixed with modern appliances last generation (oven, microwave, etc). During the summer all the rooms have fans, your fireplace in winter promises that you will spend a pleasant stay. Spend a few days of tranquility on the Costa del Sol, enjoy the Mediterranean Sea. You can visit Andalusia with reference to the house, Malaga is 40 minutes from the house. Cordoba (Mosque, patios) 2 hours, Granada (Alhambra) 2 hours. Cadiz 3 hours. Live the experience of staying in Villa del Carmen, mix the Spanish culture coming to flamenco festivals, or various shows with Spanish essence. 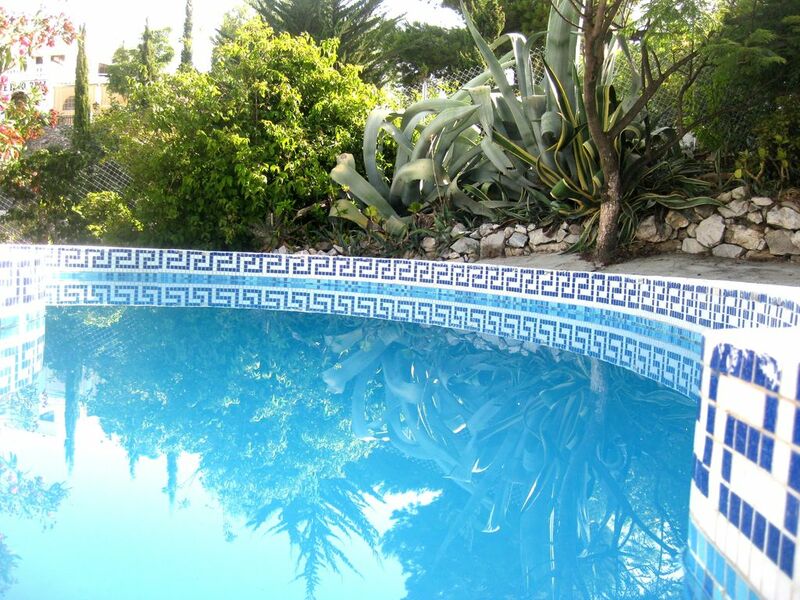 Our Villa and El Jadín are very well maintained, the pool is private, and only you can enjoy its pool and gardens. Have everything you need to cook from basic supplies to the oven, microwave, blender and a large refrigerator. Outside: From the kitchen you can see yours on the porch or enjoy the pool. The surroundings are completely closed. A property can not access any vehicle not authorized. Outside: Enjoy the plants and gardens, and a large green area where freedom breathes in nature. It has a large terrace on the top of the house where they can spot spectacular sunsets and breathtaking views. Beside the pool is a laundry where the washing machine. On the porch you will find a place to relax and enjoy relaxing days. The whole house is outside. You are amazed at the tranquility and relaxation that comes from being in the heart of the Axarquía. Real holidays are enjoyed from the rest. And in Villa del Carmen, rest is assured. I loved everything about the place. Alessandra was the most helpful hostess but never intruded. This is a cute little house with fantastic views over hills dotted with white houses. The location is between Competa and Torrox on a twisty mountain road (although it is quite safe and not too busy). About 100m down the road is a British run pub, which does food and is a favourite of the expat community of the area - this means you are not cut off, but a car is essential. The house is equipped with everything you need, including very good wifi and a small, but very useable pool - perfect for cooling down in hot weather. The garden is very private and great for sunbathing. This is a perfect little hideaway - we stayed for nearly 4 weeks and explored Granada, Malaga, Antequera and the coastal towns. Magical! Hemos pasado una semana maravillosa en esta preciosa casa que cuenta con todo lo necesario. Tanto Alessandra como sus padres han sido muy amables. Es una zona muy tranquila donde te despierta el sonido de la naturaleza y no el bullicio de la ciudad. Hemos disfrutado de su patio, su piscina y sus atardeceres. Además, en la parcela de al lado hay un restaurante donde puedes tomarte algo, comer o cenar sin tener que coger el coche! Das Haus ist komplett und in guter Lage. Der Pool ist gut für die Entspannung im Urlaub. Die Besitzer sind freundlich und hilfsbereit. Zu keinem fehlenden Details. Me ha encantado la estancia, la tranquilidad que se respira sobre todo a primera hora de la mañana, la limpieza, los lugares que me han recomendado para visitar, así como la comida que he probado en ellos. Hay unos pueblos de interior en la zona con mucho encanto. Habían algunas curvas hasta llegar allí, pero merece la pena el trayecto. ¡Espero volver el año que viene! Hemos pasado unos días increíbles y hemos llegado con las pilas recargadas. Gracias a las indicaciones de la propietaria pudimos ver gran parte de los pueblos de la Axarquía. Las playas son increíbles a tan solo 15 minutos de la casa. Estás en el medio rural pero no hay que pasar por díficiles carriles. La casa es tal como se ve en las imágenes, nos sorprendieron los detalles y el cuidado y amabilidad de nuestros caseros que cuidaron los detalles. Sin lugar a dudas la recomendamos y por supuesto que volveremos!!! Villa del Carmen is located in the Sierra Almijara, between the towns of Torrox and Competa. Surrounded by green mountains and nature you will enjoy a pleasant stay in our house. Less than 15 minutes are the beaches of Torrox, Nerja and the Axarquia region. One of the best beaches. Torrox best climate in Europe. A few meters from the beautiful house will have a restaurant where you can enjoy live entertainment occasions.